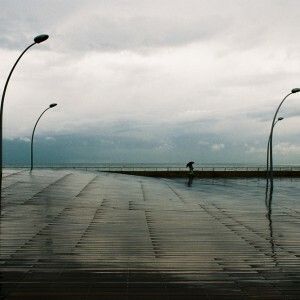 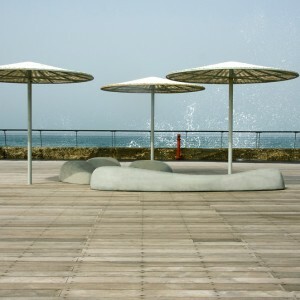 Mayslits Kassif Architects: Situated on one of Israel’s most breathtaking waterfronts, the Tel Aviv Port was plagued with neglect since 1965, when its primary use as an operational docking port was abandoned. 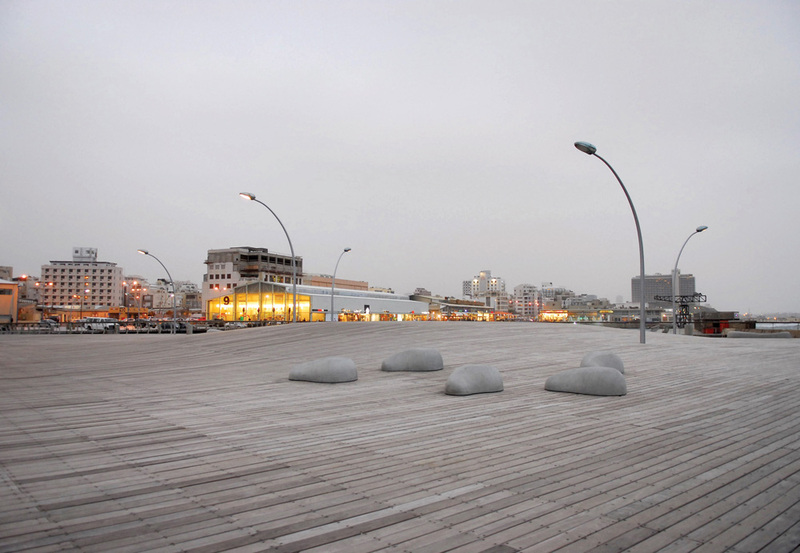 The recently completed public space development project by Mayslits Kassif Architects, managed to restore this unique part of the city, and turn it into a prominent, vivacious urban landmark. 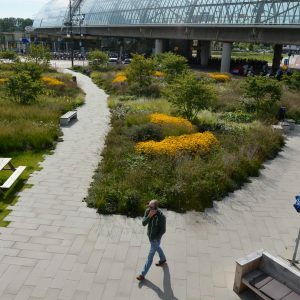 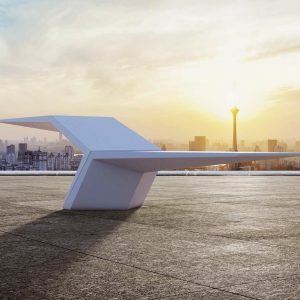 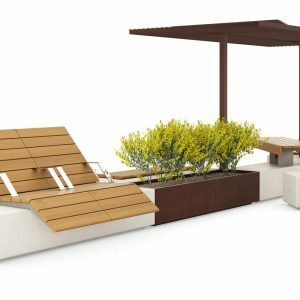 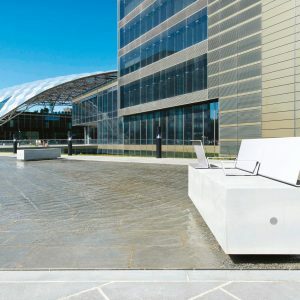 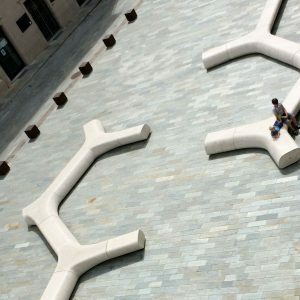 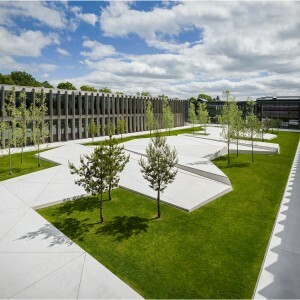 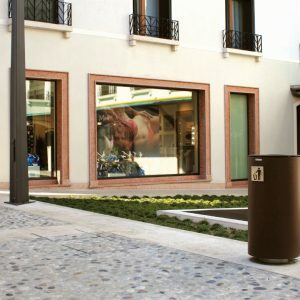 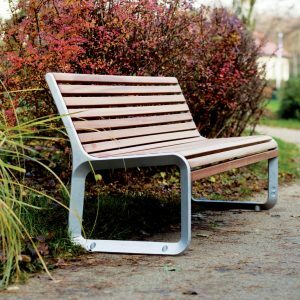 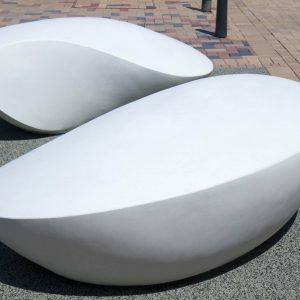 The architects viewed the project as a unique opportunity to construct a public space which challenges the common contrast between private and public development, and suggests a new agenda of hospitality for collective open spaces. 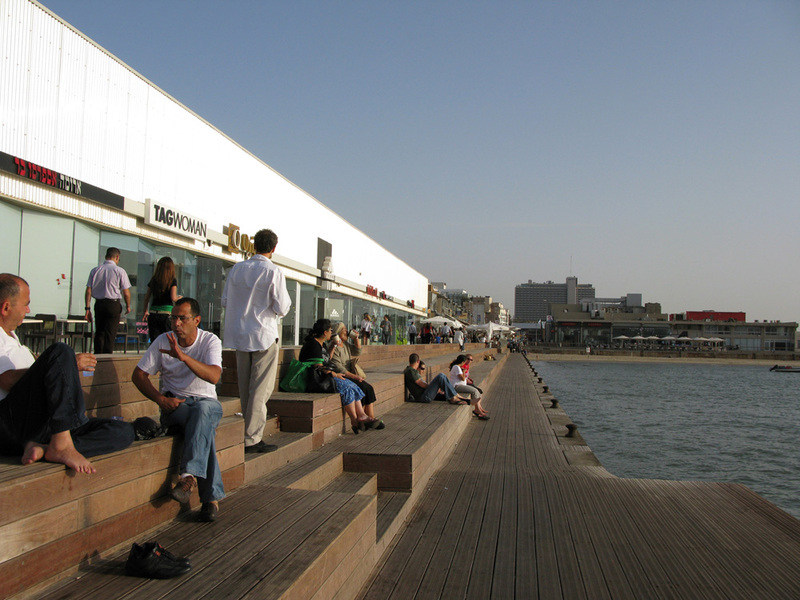 The design, a winner of an open competition held in 2003 (entry submitted by Mayslits Kassif Architects in collaboration with Galila Yavin) was quickly brought to life by a new management, with locals and visitors flocking to the revamped port even before the project was completed. 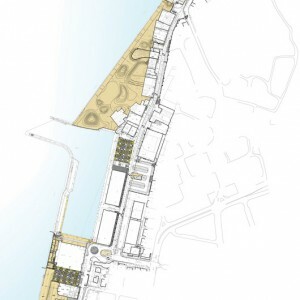 Remarkably, despite city planning being dominated by market forces, and because of its immense popularity among the public, the project has been able to circumvent massive development schemes intended for the port’s 5 hectares area. 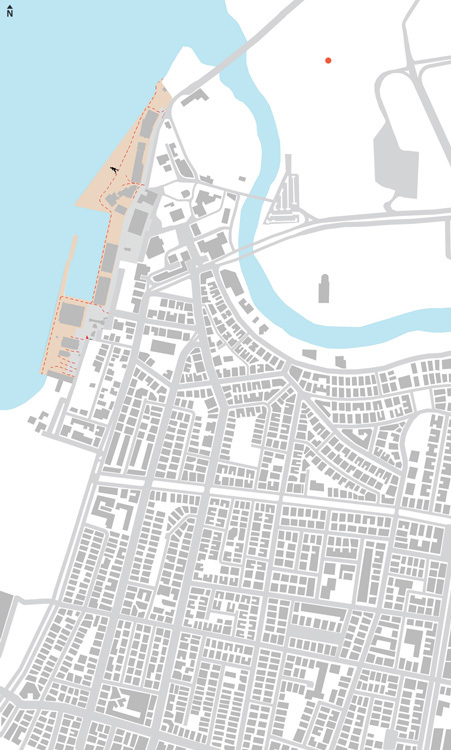 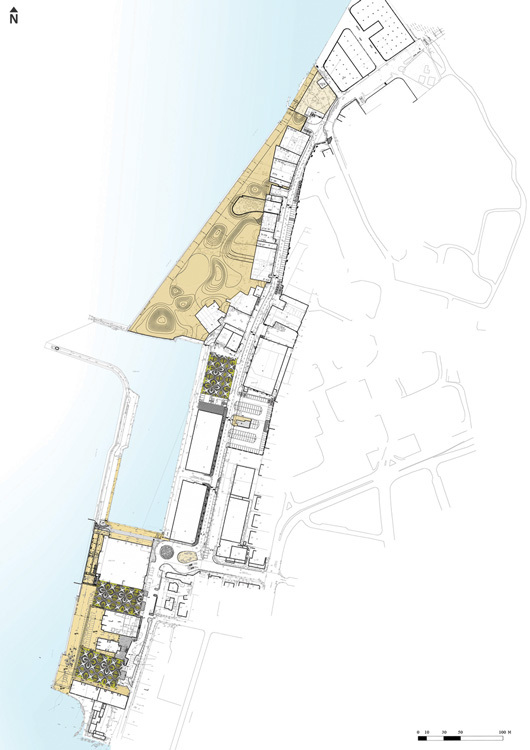 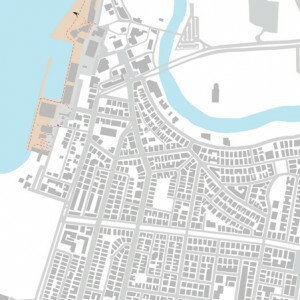 The suspension of all the area’s rezoning plans set a precedent for creating an urban transformation not propelled by building rights, but rather by a unique design strategy, which renovates the existing hangars and invests in the public space regeneration. 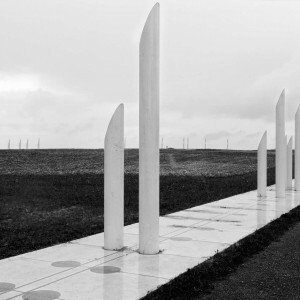 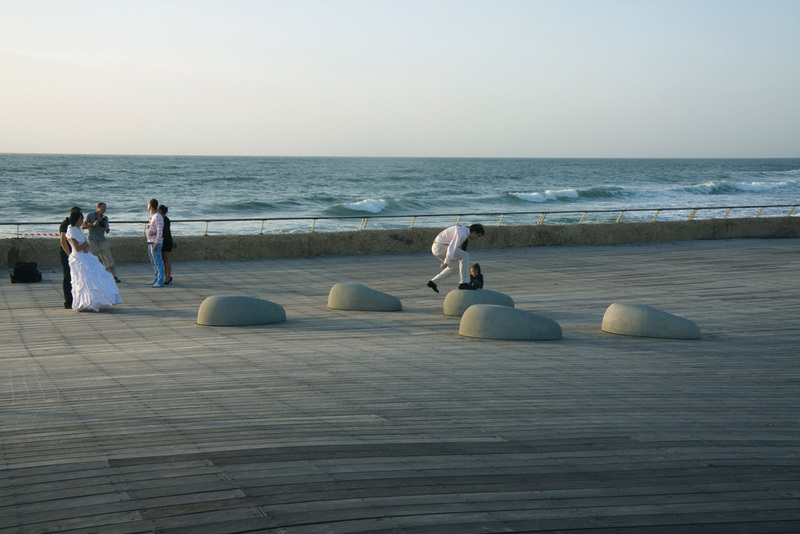 The design introduces an extensive undulating, non-hierarchical surface, that acts both as a reflection of the mythological dunes on which the port was built, and as an open invitation to free interpretations and unstructured activities. 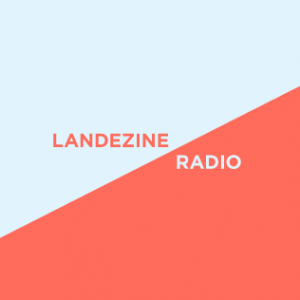 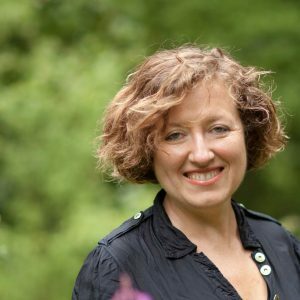 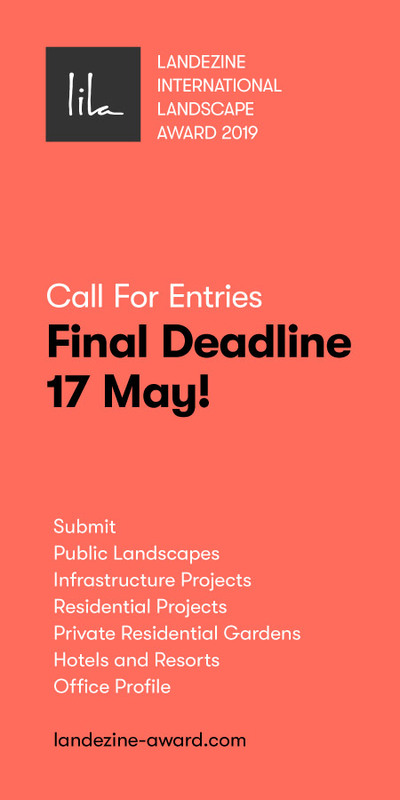 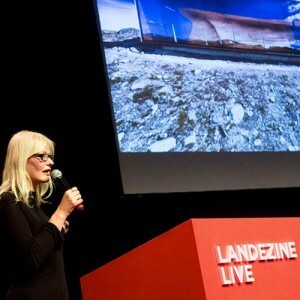 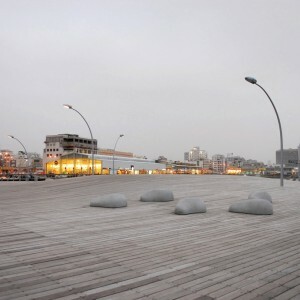 Various public and social initiatives – from spontaneous rallies to artistic endeavors and public acts of solidarity – are now drawn to this unique urban platform, indicating the project’s success in reinventing the port as a vibrant public sphere. 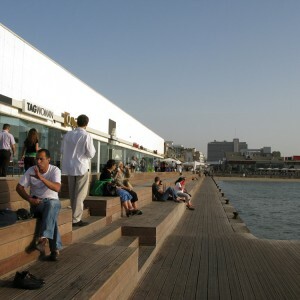 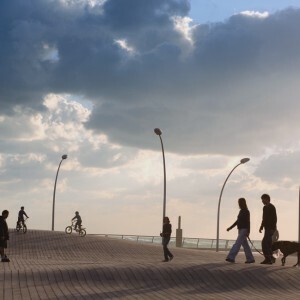 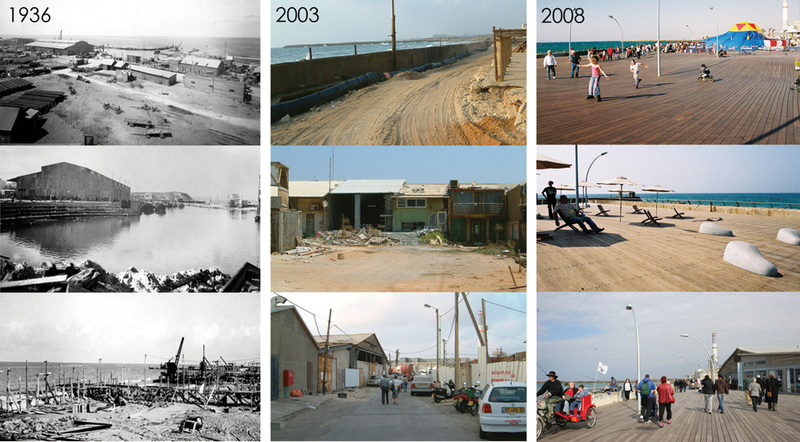 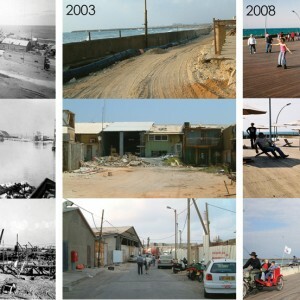 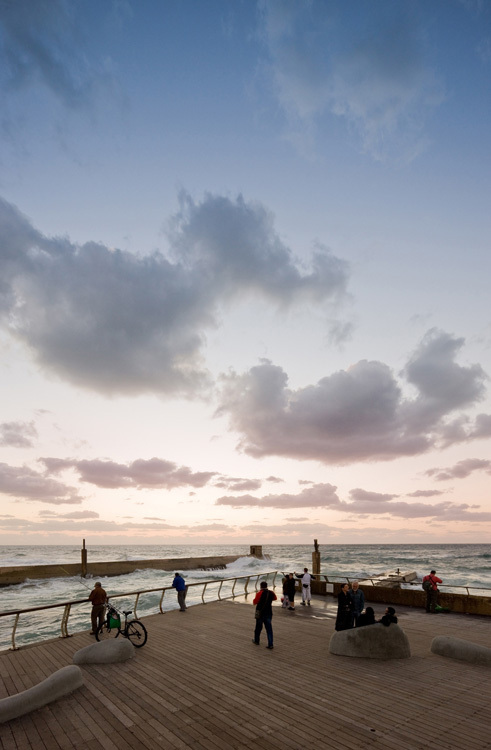 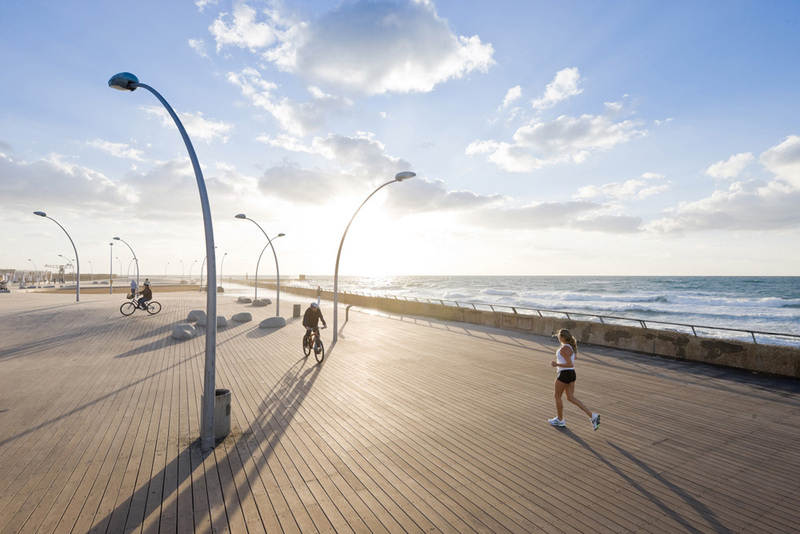 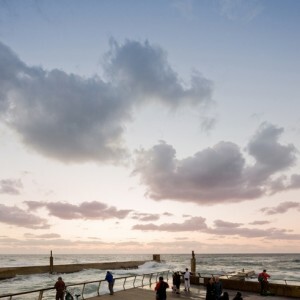 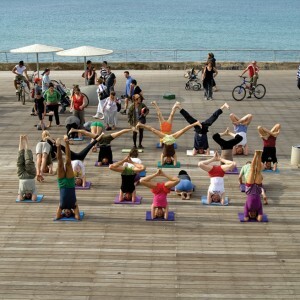 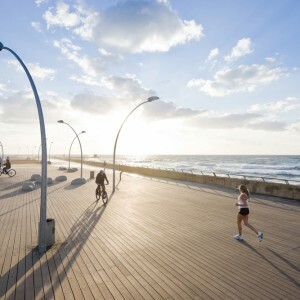 Nowadays when approximately 2.5 million people visit the Tel Aviv Port every year– a record number for a metropolitan area spanning 1 million residents, in a country of 7 million – the port’s public spaces renewal is considered one of the most influential project of its kind in Tel Aviv. 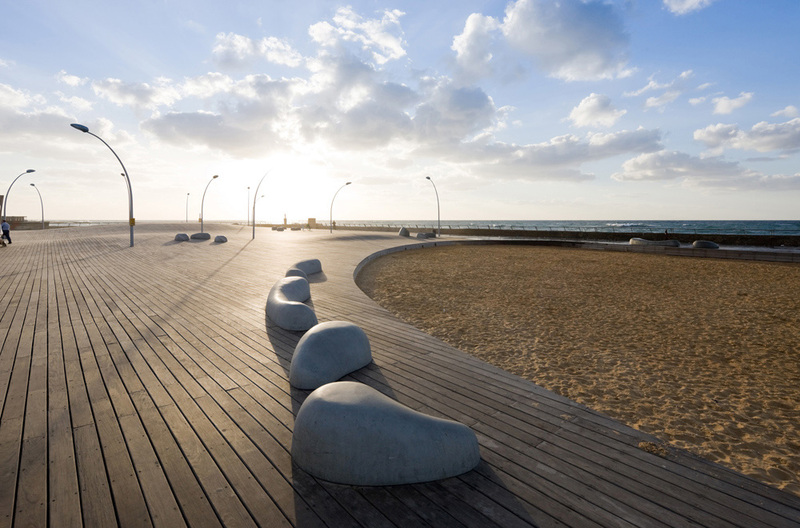 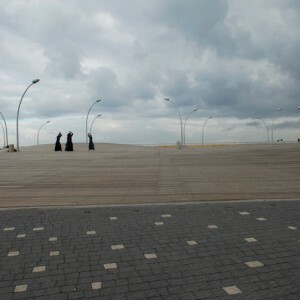 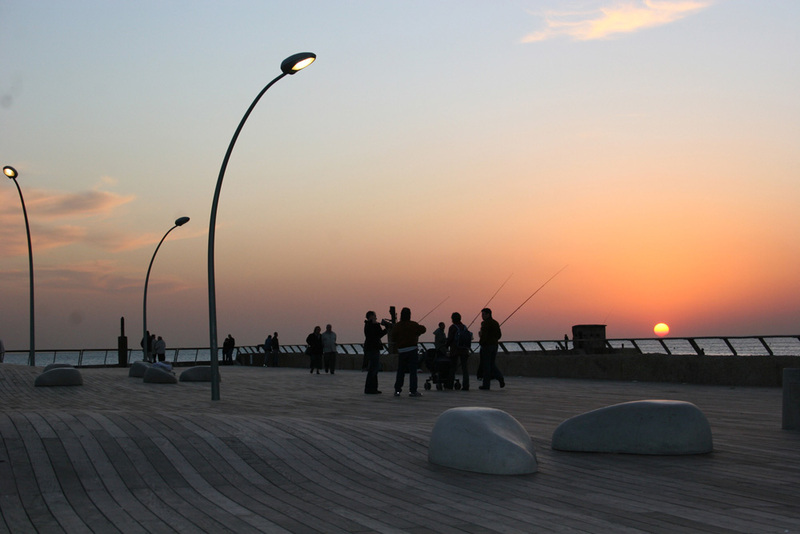 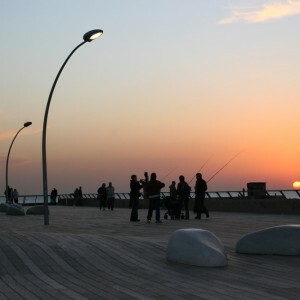 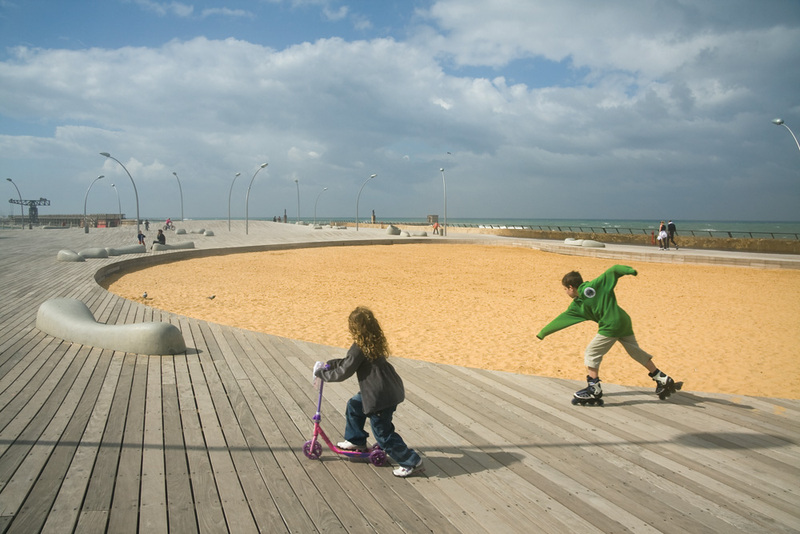 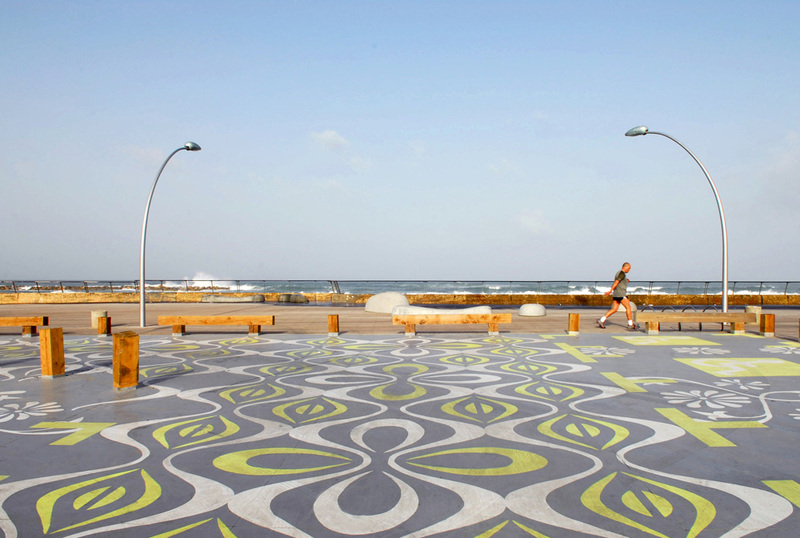 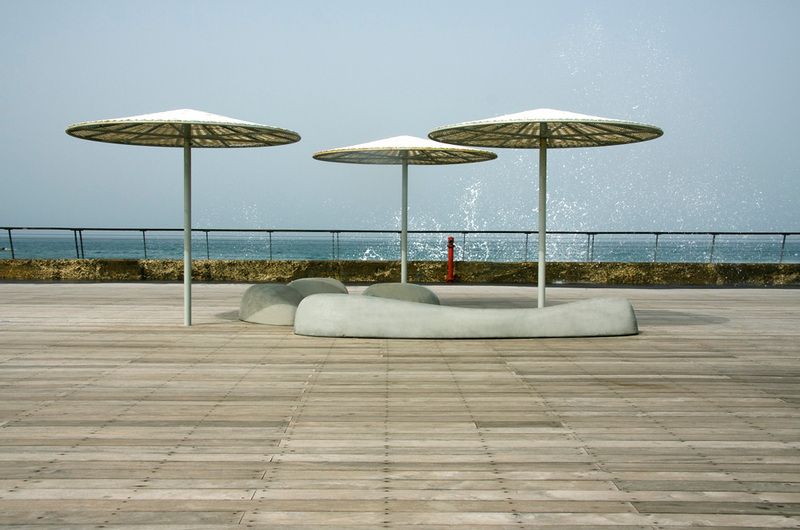 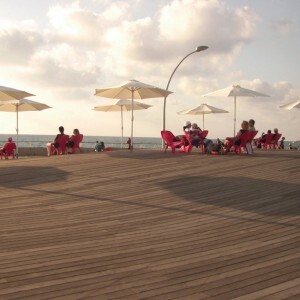 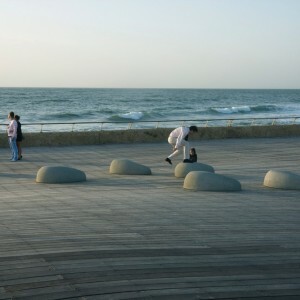 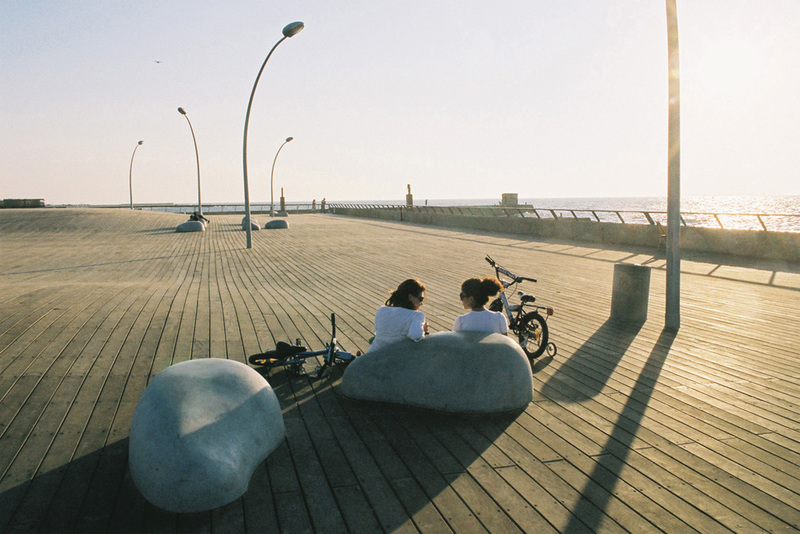 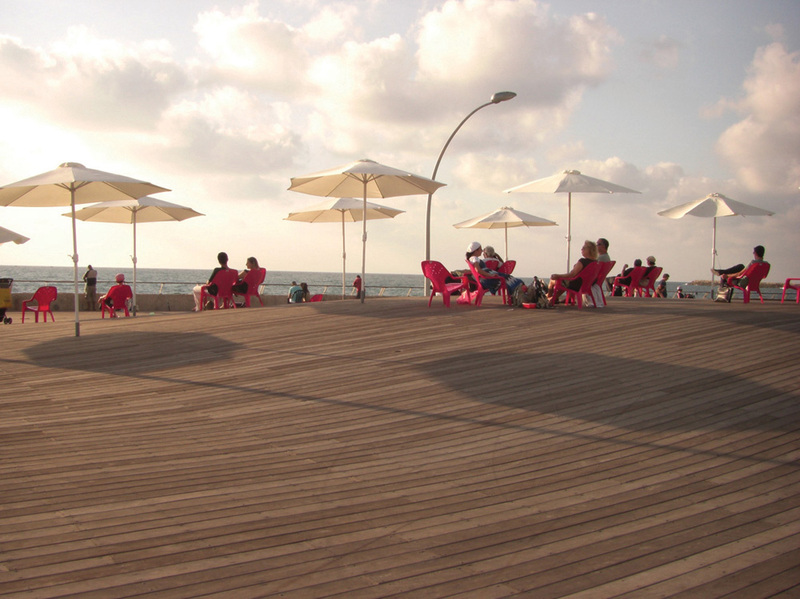 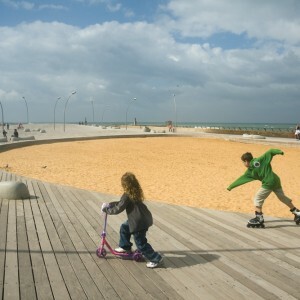 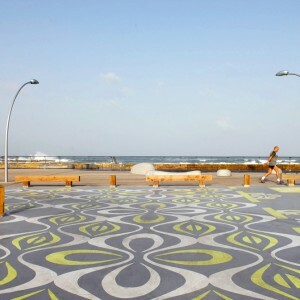 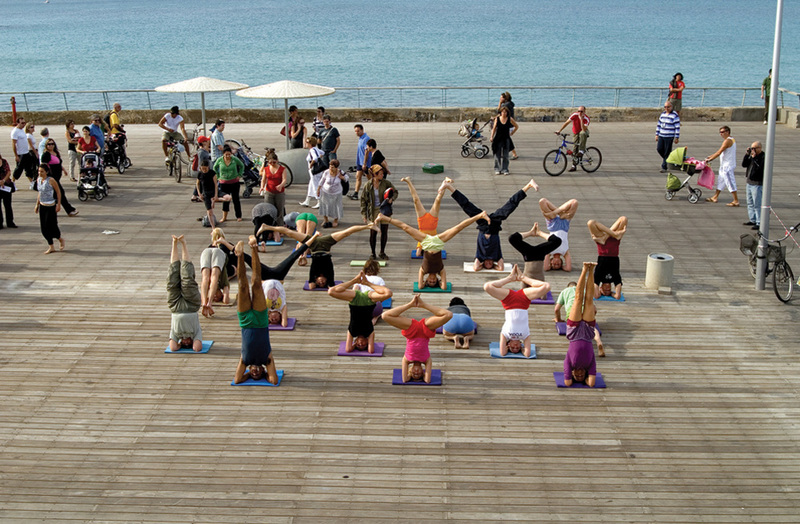 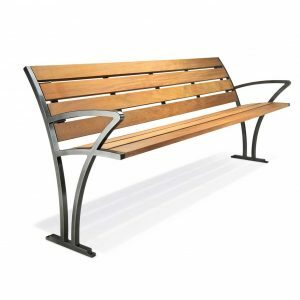 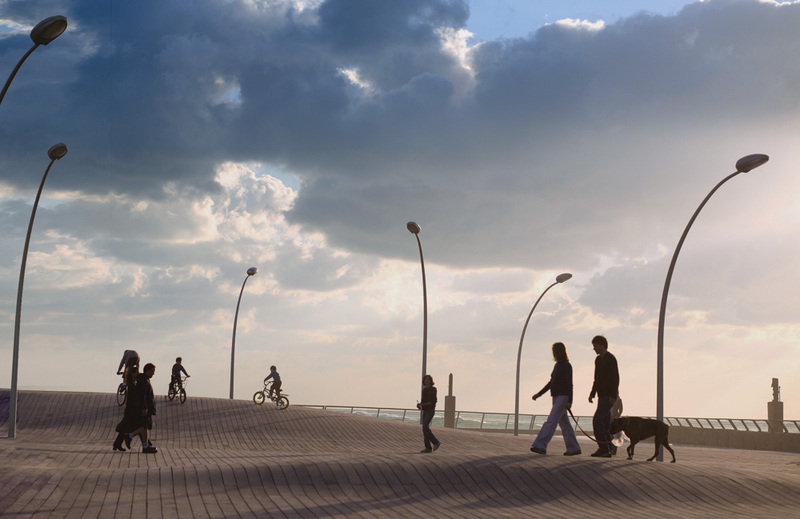 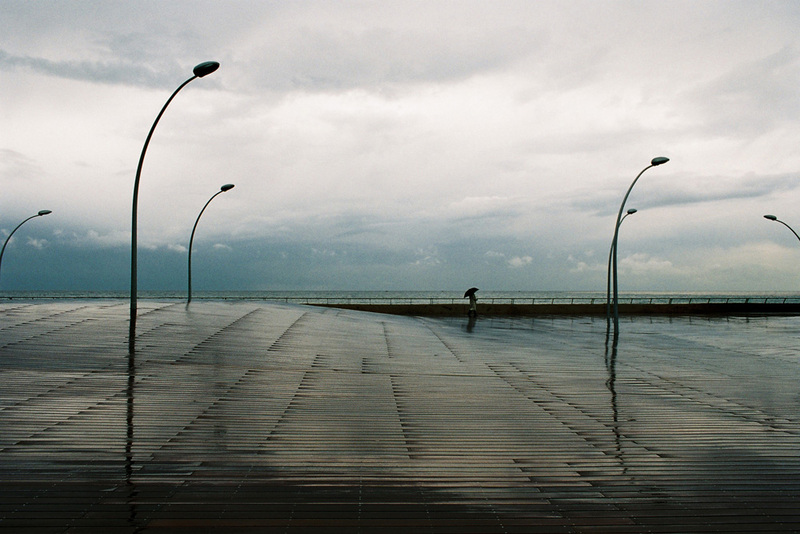 Alongside receiving international recognition and several prestigious architectural awards, such as the Rosa Barba European Landscape Prize for 2010, it receives great affection from the public and is ranked as the most beloved recreation space by the inhabitants of Tel Aviv’s metropolitan area. 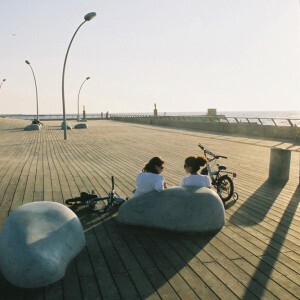 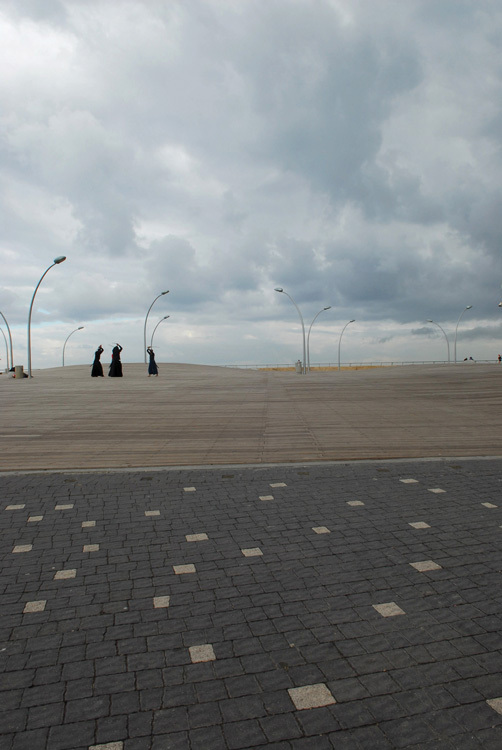 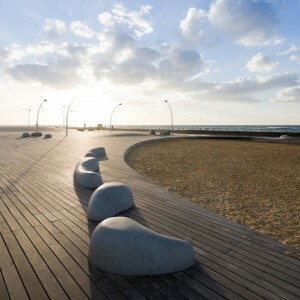 Being a new urban landmark which revives the city’s waterfront, the project became a trigger for a series of public space projects along Tel Aviv’s shoreline which altogether revolutionize the city’s connection to its waterfront. 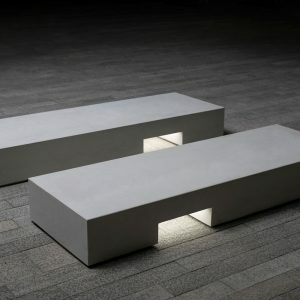 wow … this is really great architecture … the lamps are brilliant!